This started last year, so perhaps you already have a shorts suit? If not, consider buying one for 2013 as they are tres chic! Plus you can always use another blazer and a pair of shorts, right? Buy it now: Middle bottom blazer and matching shorts at ASOS for $153. Start doing your sit ups! 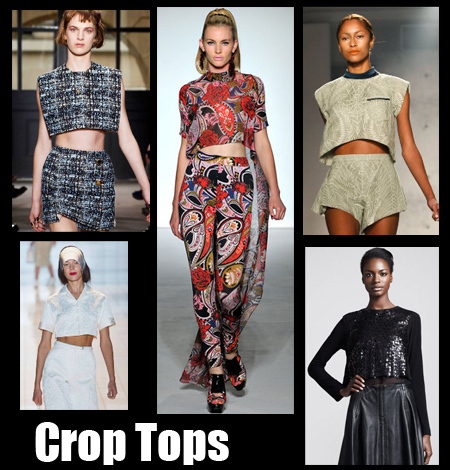 Boxy crop tops were all over the runways - perfect if you have a model body (jerk!). Buy it now: Bottom right sequin & leather Rag & Bone top at Neiman Marcus for $325. 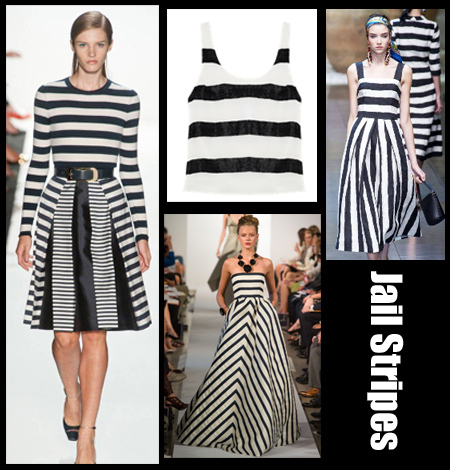 Forget sailor stripes, it's all about bold and thick for 2013. It makes me think of the Hambulger, but in a good way! Buy it now: Middle top beaded strip tank from alice + olivia for $330. Do chains and whips excite you? Have you read and reread Fifty Shades of Grey? You're in luck, looks like harnesses and zexy straps have made their way into spring 2013! Buy it now: Bottom left harness top at Pixie Market for $62. Did you just get that song stuck in your head too? Com'n pretty mamma, this trend is one of the easiest to wear and certainly tres comfy! 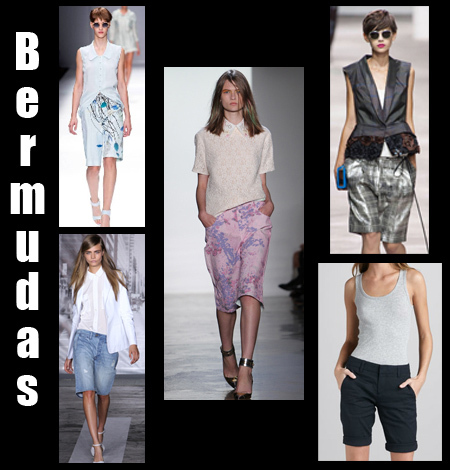 Buy it now: Bottom right Vince shorts at CUSP for $175. So for spring you will see me wearing a jail striped, bermuda shorts suit over a crop top with harness details!